No matter if you are trading or selling, Markley Motors in Fort Collins will pay you the best offer possible for your vehicle. Serving Longmont, Greeley, Loveland, Windsor, and more, we have one of the largest used vehicle sales operations in Northern Colorado. 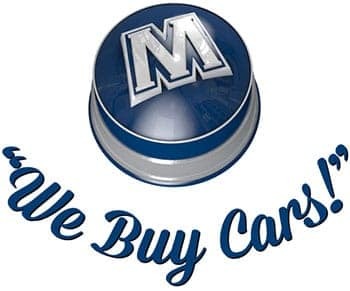 Markley Motors is always looking to buy clean cars, trucks, vans, and SUV’s. Need to sell your vehicle, but not looking to buy from us? No problem, we’ll buy it anyway! Don’t subject yourself to the hassle of trying to sell your vehicle on your own. Instead, visit Markley Motors. After a fast and accurate appraisal, we’ll offer you top dollar for your quality, used vehicle. You can also fill out our Pre-Purchase Appraisal Form to see what your car is worth and one of our specialists will contact you to set up a time to confirm the value of your vehicle. Fast – Our appraisal specialist will give you a FIRM value on your vehicle faster than our competitors. Free – We won’t charge you a dime to get an appraisal on your vehicle. No Hassle – Even if you don’t buy your new vehicle from us, we’ll still make the offer to purchase your vehicle. Guaranteed Offer – A Markleys appraisal is guaranteed for seven days from the date of the appraisal. Appraisers on hand – Don’t wait to get your appraisal. Our Used Vehicle appraisers are available during our sales hours, or you can set an appointment or stop in.